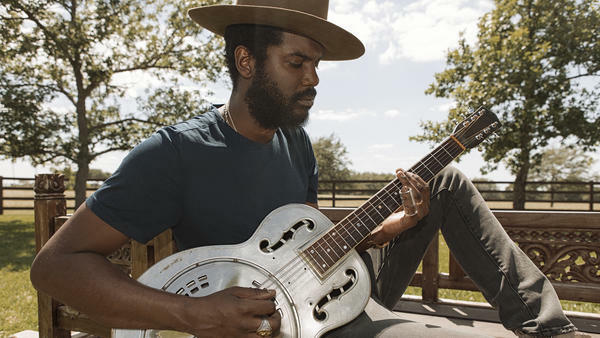 We're thrilled to have Gary Clark Jr. on World Cafe today. Gary is a guitar prodigy from Austin who showed so much promise that the mayor held a ceremony to declare "Gary Clark Jr. Day" when he was still in high school. Since then, Gary's found fans in Eric Clapton and Buddy Guy, and he's managed to do something really impressive for anyone who is gifted on guitar and is often the subject of celebrity comparisons: He's continued to innovate his own sound, rebelling against the possibility of being pinned down to a genre or style. On his latest album This Land, which comes out Feb. 22, Gary delivers an impressive musical range that incorporates punk, soul and even hip-hop. And not only is the music impactful, but so is what Gary has to say. We talk about his use of the n-word on the title track, which he uses to address the racism he experienced as a kid growing up in Austin and faced again recently as a parent in front of his own kid. We also talk about the song Gary wrote for his mother "Pearl Cadillac," and hear performances Gary and his band recorded live at the Fonda Theatre in LA. All that and more in the player.